except in the earlier period, the infrequency of brutal crimes, and the contentment with simple amusements and modest wealth all point to a comparatively happy and satisfied existence. Moreover, the sane moral attitude of the Greek helped to keep him almost entirely free from the nervous instability and emotional conflicts which wreak so much havoc in modern society. Suicide, for example, was exceedingly rare in Greece. It is necessary to be on our guard, however, against certain uncritical judgments which are sometimes expressed in reference to the achievement of the Greeks. We must not assume that all of the natives of Hellas were as cultured, wise, and free as the citizens of Athens and of the Ionian states across the Aegean. The Spartans, the Arcadians, the Thessalians, and probably the majority of the Boeotians remained untutored and benighted from the beginning to the end of their history. Furthermore, the Athenian civilization itself was not without its defects. It permitted some exploitation of the weak, especially of the ignorant slaves who toiled in the mines. It was based upon a principle of racial exclusiveness which reckoned every man a foreigner whose parents were not both Athenians and consequently denied political rights to the majority of the inhabitants of the country. Its statecraft was not sufficiently enlightened to avoid the pitfalls of imperialism and even of aggressive war. Finally, the attitude of its citizens was not always tolerant and just. Socrates was put to death for his opinions, and two other philosophers, Anaxagoras and Protagoras, were forced to leave the country. Nor is it true that the Hellenic influence has really been as great as is commonly supposed. No intelligent student could accept the sentimental verdict of Shelley: "We are all Greeks; our laws, our literature, our religion, our arts have their roots in Greece." Our laws do not really have their roots in Greece but chiefly in Hellenistic and Roman sources. Much of our poetry is undoubtedly Greek in inspiration, but such is not the case with most of our prose literature. Our religion is no more than partly Greek; except as it was influenced by Plato, Aristotle, and the Romans, it reflects primarily the spirit of the Orient. Even our arts take their form and meaning from Rome as much as from Greece. Actually, modern civilization has been the result of the convergence of several influences coming from a variety of sources. The influence from Greece has been partly overshadowed by heritages from the Near Orient and from the Romans and the Germans. 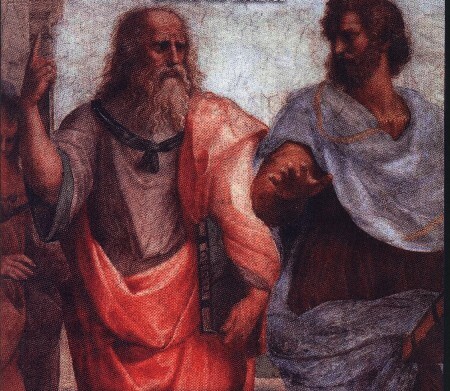 Philosophy appears to have been the only important segment of Greek civilization which has been incorporated into modern culture virtually intact. In spite of all this, the Hellenic adventure was of profound significance for the history of the world. For the Greeks were the founders of nearly all those ideals which we commonly think of as peculiar to the West. The civilizations of the ancient Orient, with the exception, to a certain extent, of the Hebrew, Egyptian, and Chinese, were dominated by absolutism, supernaturalism, ecclesiasticism, the denial of both body and mind, and the subjection of the individual to the group. Their political regime was the reign of force as expressed in an absolute monarch supported by a powerful priesthood. Their religion was the worship of omnipotent gods who demanded that man should humble and despise himself for the purpose of their greater glory. Culture in these mighty empires served mainly as an instrument to magnify the power of the state and to enhance the prestige of rulers and priests. By contrast, the civilization of Greece, notably in its Athenian form, was founded upon ideals of freedom, optimism, secularism, rationalism, the glorification of both body and mind, and a high regard for the dignity and worth of the individual man. In so far as the individual was subjected at all, his subjection was to the rule of the majority. Religion was worldly and practical, serving the interests of human beings. Worship of the gods was a means for the ennoblement of man. As opposed to the ecclesiasticism of the Orient, the Greeks had no organized priesthood at all. They kept their priests in the background and refused under any circumstances to allow them to define dogma or to govern the realm of intellect. In addition, they excluded them from control over the sphere of morality. The culture of the Greeks was the first to be based upon the primacy of intellect—upon the supremacy of the spirit of free inquiry. There was no subject they feared to investigate, or any question they regarded as excluded from the province of reason. To an extent never before realized, mind was supreme over faith; logic and science over superstition. The supreme tragedy of the Greeks was, of course, their failure to solve the problem of political conflict. To a large degree, this conflict was the product of social and cultural dissimilarities. Because of different geographic and economic conditions the Greek city-states developed at an uneven pace. Some went forward rapidly to high levels of cultural superiority, while others lagged behind and made little or no intellectual progress. The consequences were discord and suspicion, which gave rise eventually to hatred and fear. Though some of the more advanced thinkers made efforts to propagate the notion that the Hellenes were one people who should reserve their contempt for non-Hellenes, or "barbarians," the conception never became part of a national ethos. Athenians hated Spartans, and vice versa, just as vehemently as they hated Lydians or Persians. Not even the danger of Asiatic conquest was sufficient to dispel the distrust and antagonism of Greeks for one another. The war that finally broke out between Athenians and Spartans sealed the doom of Hellenic civilization just as effectively as could ever have resulted from foreign conquest. For a time it appeared as if a new world, largely devoid of ethnic distinctions, might emerge from the ruins of the Greek city-states, as a result of the conquests of Alexander the Great. Alexander dreamed of such a world, in which there would be neither Athenian nor Spartan, Greek nor Egyptian, but unfortunately neither he nor his generals knew any means of achieving it except to impose it by force. The parallels between the last phases of Hellenic history and the developments in our own time are at least interesting, if not conclusive.